We are seeing a 10.2% decrease in the number of sales from this time last year, however there are 9.7% less listings on the market which means the market is correcting. The average sales price has decreased again by 5.4% compared to October 2007, however the median sales price is down by 7.8%. The statistics still show a market lull, but our local market is still beating the national average and seems to be somewhat improving. Buyers still have more choice and can be more selective. Sellers need to make sure their homes are priced correctly and are in excellent condition to be competitive. Homes in great condition with competative prices are still selling relatively quickly. It's a beauty contest and price war for Sellers. Sellers who really need to sell are dropping their prices in line with the market. If you need to sell now, don't wait until next spring as there will be more inventory to compete with as well as possible continued downward pressure on prices. Those who don't need to sell might want to wait a couple of years, unless they want to buy up and get a big discount on a move-up home. It's also a great time to invest in real estate and expand your retirement portfolio..
Cooler temperatures and higher fuel costs have many people looking for better heating solutions. Heating and cooling systems are some of the most important investments you'll ever make in your home. These systems can account for 44% of your home's energy use. The more energy efficient an appliance is, the less it costs to run and the lower your utility bills. Home sellers with modern heating and cooling systems can command top dollar for these features, as buyers will factor the heat source into any offer. The Biggest Bang For The Buck! Save money with a fixer-upper! Although these homes take a little elbow grease, the money you save can be significant. Put that extra money in your savings account, re-invest it in your home, or upgrade your location! Higher fuel costs have made remote properties less attractive for certain buyers. Don't be afraid to search a little farther out from your work if good public transportation is available. Size matters. Bigger homes are typically more expensive, so why not buck the trend and look for something a little smaller? There is generally less demand for smaller homes, and you can spot some great deals if you are willing to act fast! 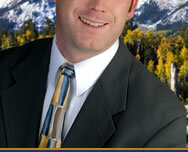 Jason Daniels is pleased to provide current information regarding the Colorado Springs Real Estate market. The following information is provided by Coleen Leri with First Community Mortgage. "OPINION HAS CAUSED MORE TROUBLE ON THIS LITTLE EARTH THAN PLAGUES OR EARTHQUAKES." ~ Voltaire. Opinions certainly caused some trouble in the markets last week as several Fed members talked about inflation, the arch enemy of Bonds and home loan rates, and their comments shook the markets like a high-magnitude quake. Last week began with Fed Chairman Ben Bernanke suggesting that the Fed is in no hurry to hike rates because of "slack" in the economy. Bonds traded lower on this news, and this may be because many economists disagree with Bernanke and believe a rate hike would actually help strengthen the US Dollar, drop oil prices closer to $100 per barrel, ease inflation pressure and...as a result, help Bonds and home loan rates improve. Also chiming in last week was Philadelphia Fed President Charlie Plosser, who said the Fed has to take "appropriate steps to do something about" inflation. His remarks helped fan the flames of volatility for Bonds and home loan rates, adding to the sell off in Bonds and worsening of home loan rates. There was some good economic news last week, but remember good economic news often causes money to flow from Bonds into Stocks, and when Bonds trade lower, home loan rates rise. And that's exactly what happened when April's Pending Home Sales report (which measures signed real estate contracts for existing single-family homes, condos and co-ops) and May's Retail Sales Report both came in much better than expected. On Friday, the important read on consumer inflation via the Consumer Price Index (CPI) report delivered a mixed bag. Overall inflation is up 4.2% on a year-over-year basis, which is the highest it's been in awhile. This comes as no surprise, when taking into consideration how much the prices of fuel and food have both risen. But the Core Rate of inflation, which strips out both food and energy, increased at a much more reasonable rate of 2.3%. Since Core CPI is seen by most economists as the best measure of the underlying inflation rate, this was really good news. However, Stocks rallied after former Fed Chairman Alan Greenspan chimed in with his opinion that the worst of the credit crisis is over, and this halted any improvement for Bonds and home loan rates. After all the reports and opinions, home loan rates ended the week at their worst levels in 4 months. I'll be watching closely this week for any more opinions that could shake up the market! FRIED GREEN TOMATOES - YES, THEY'RE FINE...BUT BE CAREFUL IF THEY'RE RAW, RED, AND ROUND...AS A RECENT SALMONELLA SCARE IS PLAGUING THE NATION. 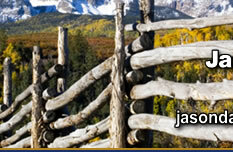 CHECK OUT THIS WEEK'S VIEW FOR IMPORTANT TIPS AND INFORMATION ON HOW TO PROTECT YOUR FAMILY. There are several reports due this week that could "plague" the markets and home loan rates. Tuesday will bring the wholesale inflation measuring Producer Price Index, as well as a read on the housing market via the Housing Starts and Building Permits Report. Also, on Thursday, the Philadelphia Fed Report hits the wires. This monthly survey of manufacturing purchasing managers conducting business around the tri-state area of Pennsylvania, New Jersey, and Delaware is one of the most-watched manufacturing reports, and it will be important to see if concerns about inflation have had an impact. Remember when Bond prices move higher, home loan rates move lower...and vice versa. The chart below shows how Bond prices moved sharply lower last week on inflation concerns, so stay tuned this week! If inflation continues to shake up the markets, Bond prices and home loan rates could have another troublesome week...but prices are at the same low levels they hit last year before starting to improve. Oftentimes, history repeats itself, and should Bonds receive some friendly economic news, it is likely they will gain back some of the ground recently lost. Summer-time is one of the best times of year to enjoy fresh fruits and vegetables, especially those that aren't available year-round. But recent salmonella outbreaks like those in last year's spinach crops or this year's tomato crops are an important reminder about handling food properly. Since April 16, more than 220 people from twenty-three states have contracted salmonella poisoning from tainted tomatoes. As a result, the Food and Drug Administration (FDA) is advising people to eat only cherry tomatoes, grape tomatoes, tomatoes sold with the vine still attached, and tomatoes grown at home since these tomatoes are not associated with the outbreak. If you have raw red plum, Roma, or round red tomatoes, which are the tomatoes associated with the outbreak according to preliminary data compiled by the FDA, the best thing to do is either throw them away or return them to the store where you purchased them. One of the best ways to protect yourself is to wash all produce, including organic produce, with cold running water. You should scrub your produce gently with a vegetable brush, or you can use your hands if you don't have a brush. Make sure you remove outer layers of cabbage and lettuce. And make sure you wash fruit, too, even if you don't eat the peel. In addition, wash your hands with soap and water before handling food and also wash cutting boards, counters, and utensils to avoid cross-contamination. When you are preparing fresh vegetables, make sure you avoid any kind of contact with raw meat. And don't forget to refrigerate sliced up fruits and vegetables. If you eat out, ask your waiter what the restaurant has done in response to the outbreak. Several restaurants...including chains McDonalds, Burger King, and Taco Bell, among others...have stopped serving tomatoes, but it's always wise to double check. Keep in mind that ketchup and cooked sauces are not affected since cooking tomatoes at 145 degrees kills salmonella. Don't hesitate to ask your waiter to leave tomatoes off a sandwich or salad if the restaurant hasn't removed tomatoes from its menu. Note that if you remove the tomatoes once your order comes, the food could still be contaminated. Salmonella poisoning typically resembles the flu, and symptoms usually appear 12 to 72 hours after infection and include abdominal cramps, headache, fever, diarrhea, nausea, and vomiting. If you suspect that you've contracted a case of salmonella poisoning, call your local health department. Reported cases help the CDC and FDA track the source of salmonella. "THERE IS NO BARRIER TOO HIGH, NO VALLEY TOO DEEP... NO DREAM TOO EXTREME, NO CHALLENGE TOO GREAT" ~ Charles Swindoll And that motivating phrase was a great motto for last week, as both Bonds and home loan rates ended up being greatly challenged as they dreamed of breaking through technical barriers to attempt some improvement. Lots of intra-week action ensued - but when the dust settled, Bonds and home loan rates rallied in the face of challenges and ended the week very close to where they began. Bond prices and home loan rates started the week to the upside, as Wachovia announced they were removing their CEO and Stocks faced some selling pressure on the news, moving money into Bonds and helping rates improve. But the rally was very short lived, as Wednesday's "unofficial" Employment Report by giant payroll processor ADP indicated 40,000 new private sector jobs were added in May...and while this good economic news gave Stocks a boost, it pulled money right back out of Bonds and caused home loan rates to worsen. Thursday's positive economic news that unemployment claims for the week were lower than expected caused Bonds and home loan rates to worsen even further, as traders began to speculate on what the "official" Jobs Report by the Department of Labor would contain. And on Friday morning, along came the big enchilada, the monthly Jobs Report. The Unemployment Rate increased to 5.50%, up from 5% last month - the largest jump since February of 1986. This was much worse than the market expected. And remembering that bad economic news tends to be bad news for the Stock market, but good news in turn for the Bond market, the news was positive indeed for Bonds and home loan rates - helping them to end the week relatively unchanged. STOCKS AND BONDS AREN'T THE ONLY THINGS ON THE MOVE THIS TIME OF YEAR. NOW THAT WE'RE INTO THE SUMMER SELLING SEASON, YOU OR SOMEONE YOU KNOW MAY BE ABOUT TO BUST A MOVE. CHANGE OF RESIDENCE IS EXCITING, BUT IT CAN ALSO BE A LOT OF WORK. READ THIS WEEK'S MORTGAGE MARKET VIEW FOR SOME TIPS ON HOW TO TAKE THE STRESS OUT OF MOVING! So we know that employment numbers were the big movers and shakers for the financial markets and home loan rates last week. What's in store for the week ahead, and what could drive more market action? Keep your eye out for the Retail Sales Report, which will be released on Thursday. The Retail Sales report is a measure of the total receipts of retail stores, and changes in these numbers are closely followed as a timely indicator of broad consumer spending patterns. Recent numbers haven't been too bad - consumers seem to still keep spending away. But, will this week's report show that inflation and high oil prices are finally taking their toll on consumer pocketbooks? A strong Retail Sales Report would be good for the Stock market - which stands to reason, as it would indicate continued consumer confidence and dollars being poured into the economy. But a strong Retail Sales Report would be bad news for Bonds and home loan rates, which benefit from weak economic news. Sure to be a market mover is Friday's Consumer Price Index report, which gives a read on inflation at the consumer level - that is, how much more expensive are goods and services this month over last month? CPI is a widely watched inflation indicator, and will definitely make headlines. Inflation tends to be bad news for both Stocks and Bonds, so if the report indicates inflation is heating up, this could cause Bond pricing and home loan rates to worsen in response. Remember when Bond prices move higher, home loan rates move lower...and vice versa. And as you can see in the chart below, Bonds were challenged to improve and break above a strong technical barrier at the 200-day Moving Average....only to end the week being forced below it once again. This is a very important "line in the sand," so I'll be watching closely this coming week - as always - to see if the news of the week will help Bonds break above this important barrier, or remain below it. Moving can be very exciting...but it can also be a bit of a pain as well. Besides packing and unpacking, there is a long list of details to be handled. Things like choosing a mover, connecting utilities, getting Internet and cable service, or subscribing to newspapers or magazines in a new area can be quite a chore. And if you forget to connect one of the utilities you could be stuck in your new home for several days without that much needed service. To ease the stress of moving and schedule new connections for all of the utilities in one convenient location, simply logon to www.whitefence.com. You can quickly compare prices for movers, phone, electricity, television, or high-speed Internet. Just select the service you wish to compare--for example, phone, cable, and electric. Or, enter your address on the home page, hit search, and within seconds a list of services and prices available in that area will appear. Next, click on the service of your choice to view details and pricing or comparison shop by choosing three providers. Once you determine the provider, select the service plan, complete the requested information, enter the connection date, and within minutes a confirmation will be sent to you. If you want to change your current provider, simply hit the icon for phone, cable, or internet, select "switch provider", complete the requested information and a list of providers in the local area will appear. Choose the new provider and the service will be changed. Additionally, on the site you can complete a change of address form, subscribe to local newspapers, and order magazine subscriptions. Moving to a new home should be enjoyable and exciting. Using this tool can help remove a bit of the stress of moving and will also help save valuable time. "TELEVISION IS NOT REAL LIFE. IN REAL LIFE, PEOPLE ACTUALLY HAVE TO LEAVE THE COFFEE SHOP, AND GO TO JOBS." Bill Gates Right on Bill...and last Friday, the Department of Labor reported that another 180,000 Americans left the coffee shops and found jobs during the month of March, with another 32,000 jobs added to prior month's reports. The Unemployment Rate dropped to 4.4%, matching the lowest rate in six years - and Average Hourly Earnings were up as well, rising to $17.22 per hour. So it was all good news for the US job market...but bad news for home loan rates, since a strong labor market can lead to inflation, the arch-enemy of Bonds and home loan rates. On the release, Bond prices slipped lower, causing home loan rates to rise slightly across the board. And the Fed was watching too...remember that the pop in new job formations and stronger wages creates that risk of further inflation ahead, and this news comes on the heels of a higher read on inflation from the Fed's most closely watched indicator - The Personal Consumption Expenditure Index. So, despite the media and many "so called" experts saying the Fed has to cut rates soon - don't expect a cut in the near future, as the Fed's main priority is controlling inflation. WANT TO REDUCE THE INTEREST YOU PAY ON CREDIT CARDS? YOU'RE NOT ALONE...SO DON'T MISS READING THIS WEEK'S MORTGAGE MARKET VIEW, TO GET SMART ON THE TRICKS THAT CREDIT CARD COMPANIES USE TO CHANGE THE RULES AND COST YOU MORE, IN WAYS THAT YOU MIGHT NOT EXPECT. What's on the docket this week? A few reports of note - and one of the more interesting items on the calendar will be the Federal Reserve Board's "Meeting Minutes" from the March 21st meeting, due for release this Wednesday afternoon. Why so intriguing? Because unlike the carefully crafted Policy Statement released just following the actual Fed Meeting, the Meeting Minutes is like the Fed "unplugged"...where all the commentary and discussion between Fed members is unbridled and unleashed to the public. Not all members vote at each meeting - but they all have a voice. Was the decision to keep the Fed Funds Rate in a paused position unanimous? Or did non-voting Fed President Jeffrey "the Dissenter" Lacker raise his voice in favor of more hikes? We'll all find out later this week - and the comments could be market movers, so stay tuned. The chart below shows that Bond pricing has been skidding lower of late, meaning home loan rates have worsened right along with them. And the next "floor of support" to catch them is lower still - indicating that Bond pricing and home loan rates will likely get a bit worse before they get better. The market may see some added volatility early in the week, as last Friday's trading session was condensed into just a few hours of trading before a market close in observance of Good Friday. Stocks should improve off the strong Jobs Report, which could hurt bonds and home loan rates. Credit card companies do a great job at disclosing all of their terms and conditions...but do so in an exceptionally hard to read font and verbiage, designed to dissuade you from really reading the infamous "fine print". But failing to understand the terms can be costly. Most people know that when your bill arrives, it needs to be paid on time or you'll be hit with a hefty late fee - but many don't know that paying late usually entitles the credit card company to raise your rate immediately and significantly. And worse yet - did you know that paying late on one of your credit cards also entitles all your other credit card companies to raise the rates you are paying them as well? You bet - it's called the "Universal Default Clause", and it basically means that if you are late on one credit card account, all other credit card companies that you have accounts with can increase the interest rate too, even if their accounts have been paid completely on time. But the plot thickens further - this goes beyond late payments on credit cards alone. If one of your credit card companies has the Universal Default Clause noted in their disclosure - and most of them do - this clause states that they have the right to penalize a consumer with an increased interest rate if a late payment is reported to ANY other creditor, including utilities, car loans, and home loans. Better believe that credit card companies with this clause sit back and wait for the opportunity to increase the interest rate...and continually monitor their customer's credit reports, just waiting for the opportunity to do so. ...it's not just late payments that trigger the Universal Default Clause; interest rates can be increased if a consumer exceeds a credit limit, bounces a check, or applies for additional credit. All of these signs may be read by the credit card company that a consumer is "high risk". The penalty? You guessed it - a higher interest rate. Further, if an offer seems too good to be true, it probably is. This popular phrase rings true for many consumers that sign up for zero percent interest offers. Although these offers sound great and every consumer goes in with the best intentions of paying the balance in full before the zero percent interest term expires, the vast majority of people do not pay off the bill before the offer ends. And what consumers do not realize is if the account is not paid in full, the creditor does not start charging interest from the date the deal expires, the creditor goes back to the day the purchase was made and charges interest on the balance for the entire period. Or - back to the Universal Default Clause, if you are late on another credit card payment during the introductory time period with the zero percent rate offer - the card issuer of that sweet deal could prematurely break it off and force a steamed up interest rate, retroactively charged back to the original date of purchase. That smoldering rate could mean paying double or even triple for the purchased merchandise. Try your best to only charge what you can afford to pay off in full, on a monthly basis. Beyond being just good advice, here's another little known credit card fact that could cost you. If you charge and then pay the account in full, there is no interest due. But if you charge and choose to only pay half of the bill when it arrives, guess what - you get charged interest not just on the remaining balance, but for the entire charged balance, regardless of your paying half the bill in full. If the bill is not paid in full the following month, this game continues until the account is paid in full. So although the fine print can be a real snoozer to read, taking the time to become familiar with credit card terms and conditions can save you some serious dollars. Review your current credit card terms and conditions and take the time to find a credit card company that truly matches your spending habits and needs. You will save yourself a few sleepless nights - and more importantly, save yourself a lot of money too!